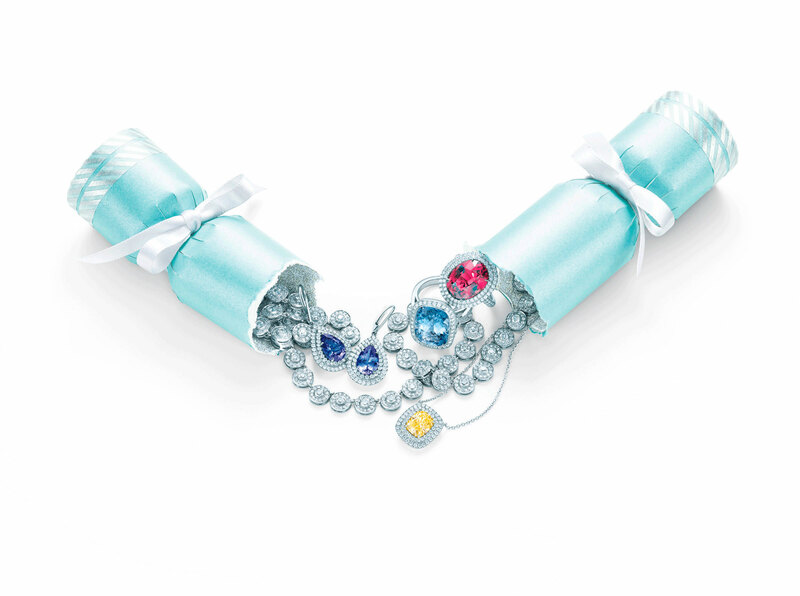 Tiffany & Co really make Christmas magical, with their exquisite window displays and now this amazing Christmas cracker containing eleven pieces of Tiffany Jewellery. A diamond necklace, platinum diamond earrings, a yellow diamond ring and a diamond cluster bracelet are amongst the eleven items presented in this £180,000 cracker! 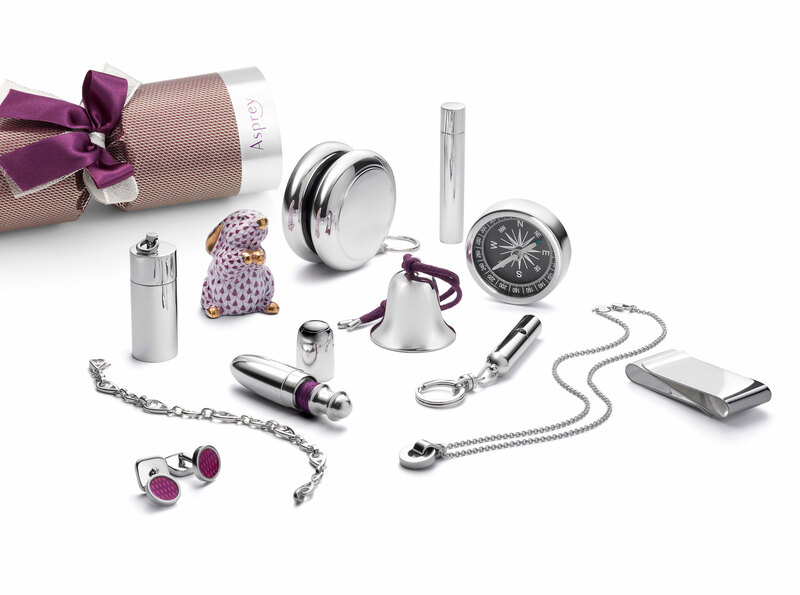 Asprey have some Christmas crackers with luxury gifts for the whole family including a compass, porcelain rabbit, a round Asprey pendant and an A-link bracelet. Priced at £185 a cracker, at least they a lot cheaper than the Tiffany cracker! These Christmas crackers now seem like bargain prices but still have all the luxury you need. I love these Jo Malone crackers which are £30 each, containing the Blackberry and Bay cologne, Enlivening Grapefruit body crème and Reviving Lime Basil and Mandarin Hand and Body wash. Finished off with the Jo Malone signature monochrome ribbon. With a bright eye-catching print these surprise twist crackers from Origins are bound to add some sparkle to Christmas. Each cracker contains a Make a Difference rejuvenating hand treatment, Ginger Souffle whipped body cream, Clear Improvement active charcoal mask, Drink Up intensive overnight mask and more. Priced at £45 for a box of six. Place one of these on every plate at the table and your guests will love you! They would also make gorgeous tree decorations. 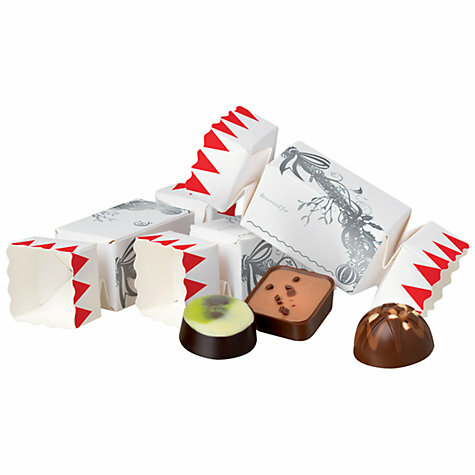 Each cracker contains assorted chocolates from the authentic brand Hotel Chocolat. Available at John Lewis, £16 for a set of ten Christmas crackers. For the more traditional Christmas crackers, John Lewis have a great selection, many of which are now half price or less. With beautiful snowflakes I love these elegant crackers which are now only £10 for twelve. 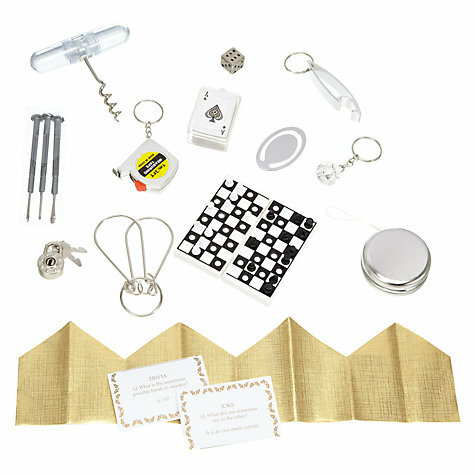 Win from a selection of screwdrivers, tape measure, metal dice, chess set, yoyo, playing cards and all the classic novelty gifts together with a Christmas motto and gold paper hat. Nails inc had me at the advent calendar and now the Christmas crackers are perfect for a girly festive lunch or even as a gift for the beauty addict in your life. Each cracker contains a full size nail polish, either Kensington High Street (glossy wine), Trafalgar Crescent (silver galaxy), Mayfair Mews (midnight blue fibre optic), Baker Street (cobalt blue), Mayfair Lane (red glitter) or Kings Road (rose gold foil effect) together with a fashion quote. 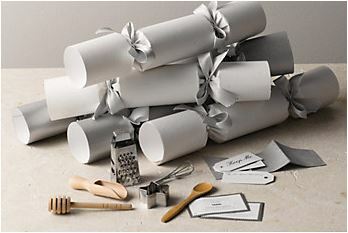 These fabulous Christmas crackers are £29.50 for a box of six, available at John Lewis.